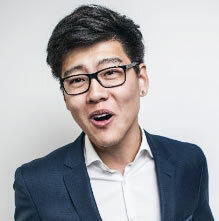 Tony Gao co-founded Easy Transfer in 2013. The Beijing-based startup helps China's outbound students pay their tuition fees more quickly and at cheaper foreign exchange rates. It is also branching into student services such as home rentals and used car sales. Gao, a graduate of the University of Southern California, started Easy Transfer in his undergraduate years after seeing that tuition transfers from China could take several days and incur thousands of dollars in bank service fees. Easy Transfer partners directly with Chinese and American banks, bypassing the complex network of international payments.